This streak camera uses a new generation of streak tubes based on the 75-year night vision heritage of PHOTONIS. The sweep crosses the whole screen and ends outside. The sweep always remains in the screen. It is used to synchronize the streak camera to the experiment. The slit image is positioned at the center of the screen. The sweep trigger is disabled. This mode is used to align the experimental setup and to adjust the incident light level. AXIS-QVS is operated from a USB link to a PC running Windows . Standard system comes with a 150 gr/mm grating. Available gratings are 150 gr/mm, 300 gr/mm, 600 gr/mm and 1200 gr/mm. 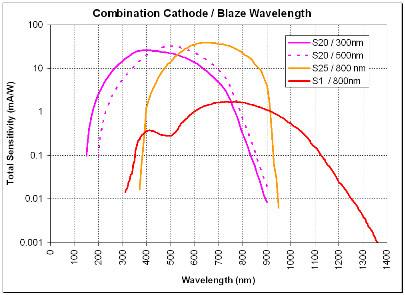 They come with different blaze wavelength (300nm, 500nm, 800nm, 1µm). 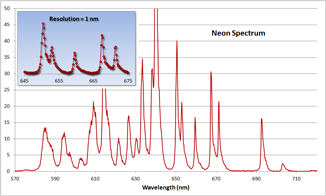 This optional kit includes a synchronized white light source, special optical system and software plugins to allow AXIS-QVS to perform Transient Absorption Spectroscopy. With the blanking option, streak tube is blocked during the time the signals sweeps back to its start position. This feature is required when the optical signal lasts longer than the sweep range.